In Bottles > Ink Bottles > Show & Tell and Office > Show & Tell. This is a vintage 1950's Sheaffer's Skrip Writing Fluid clear bottle with label and original blue & yellow box - 2 fluid oz size with lid / color is Permanent Jet Black #32 / made by W.A. 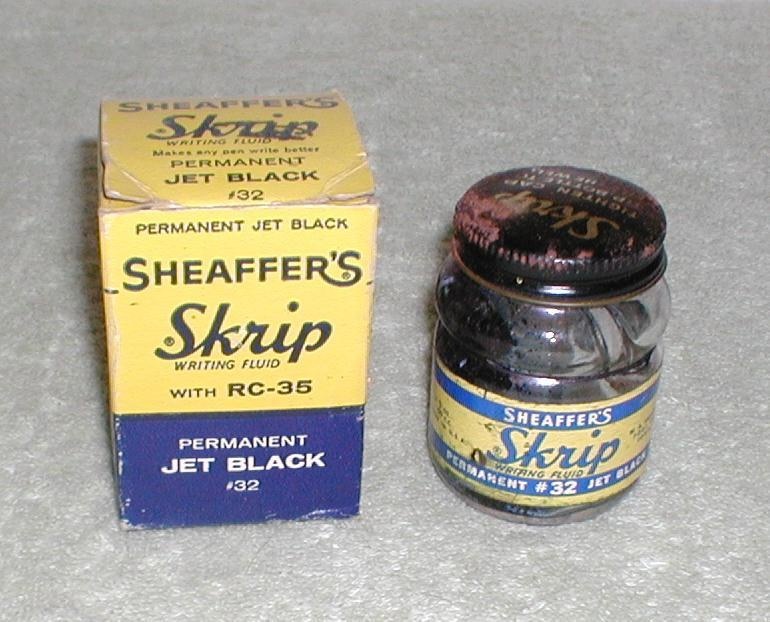 Sheaffer Pen Co., Fort Madison, Iowa - bottle still has some ink left in it although it has dried up.